Today I would like to chat you about some new skincare I've been using. 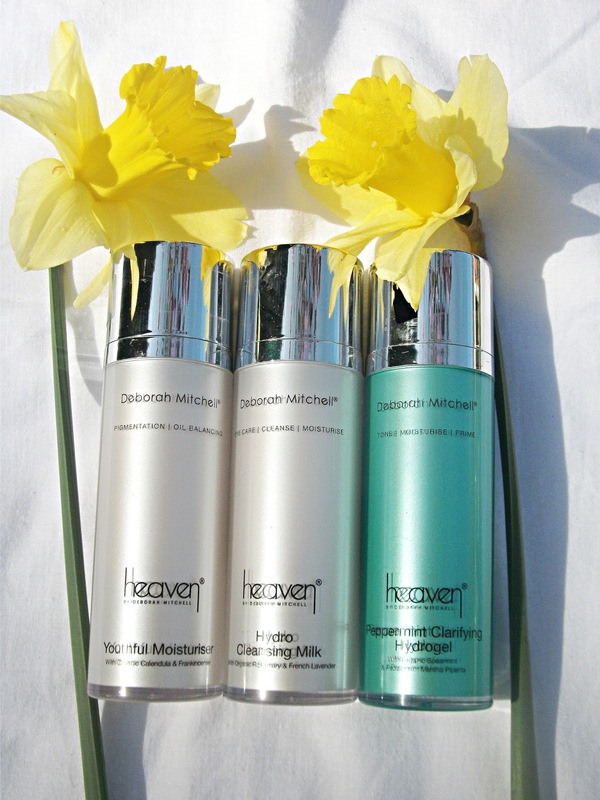 I have been trialling Heaven Skincare from Deborah Mitchell. I got in touch with her after seeing her on Twitter and it lead to me being sent these 3 products to test (plus a facemask sample). They are all natural and designed to help target specific skincare problems. I have been trialling the Hydro Cleansing Milk, the Peppermint Clarifying Hydrogel and the Youthful Moisturiser. Hydro Cleansing Milk - this works to remove pollutants which can make your skin appear clearer. This is particularly good for combination to oily skin adding moisture to the drier areas and working well within the T-zone. It contains Rosemary and Lavendar Essential Oils (organic), has a base of organic Jojoba and contains vitamin E and organic tea-tree. Peppermint Clarifying Hydrogel - This is good for refining pores and balancing the pH level of the skin. This contains Peppermint and Spearmint Essential Oils (all organic), organic Lavendar and organic coconut. Youthful Moisturiser - fade pigmentation and repair skin's tissues. Contains YLang YLang, Lemon Tea-Tree Frankincense (all organic) essential oils, Calendula Oil and St John's Wart Oil and has a base of Aloe Vera. WillowBee facemask - Contains Rose Lavender Essential Oil (all organic), organic Marshmallow, Shea butter and Carrot oil. Deborah Mitchell has over 25 years experience as a beauty therapist so she really knows everything there is know about skincare. Every ingredient she uses is organic and natural to promote healing and to enable her products to be used by everyone. Whatever your skin complaint, Rosacea, oily/combination, dry, fine lines, wrinkles, Deborah has the product to help. Whilst using these products, your skin will improve in as little as five days. A bold claim, but one I am happy to agree with. Using them for the first time I noticed an ingenious design, the tops twist open to reveal the hidden pump! This is brilliant for travelling as it ensures no spillage. A pump is a handy feature to have as it allows you to use just the amount you need and is hygienic. I loved the scent with these products, I found the lavender to be particularly calming, especially if I was using them in the evening. The formulation of the moisturisers and hydrogel is one which is not too runny but thin enough to not feel heavy upon application. The hydrogel can be used as a primer before your foundation too and I feel it would be perfect for this as it left my face feeling hydrated and ready for the next step in my skincare routine. These products are very gentle on the skin and promote calming. 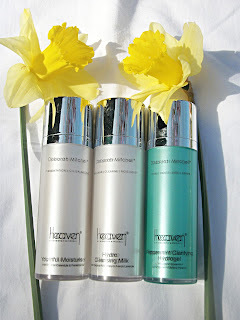 They were chosen specifically for my skincare concerns and I can say that they have helped improve the look and feel of my skin in the few weeks that I have been using them. I would recommend these products to you if you're after more natural skincare which is still powerful enough to deliver results. I have been very happy with them and I shall continue to use them until they run out. Have you used any natural skincare before?? 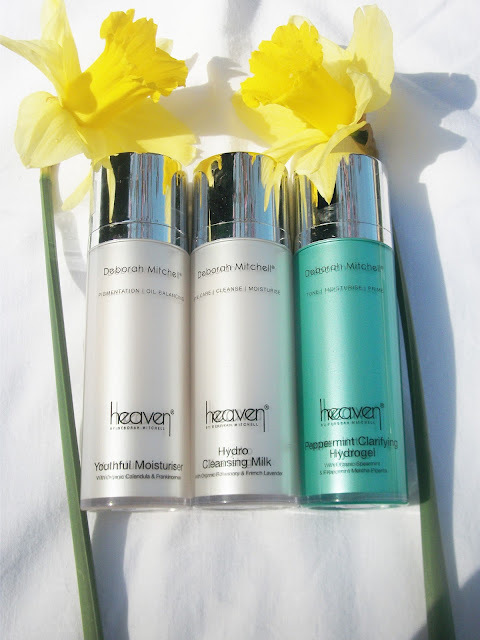 Have you heard of Heaven Skincare from Deborah Mitchell?? Let me know in the comments! 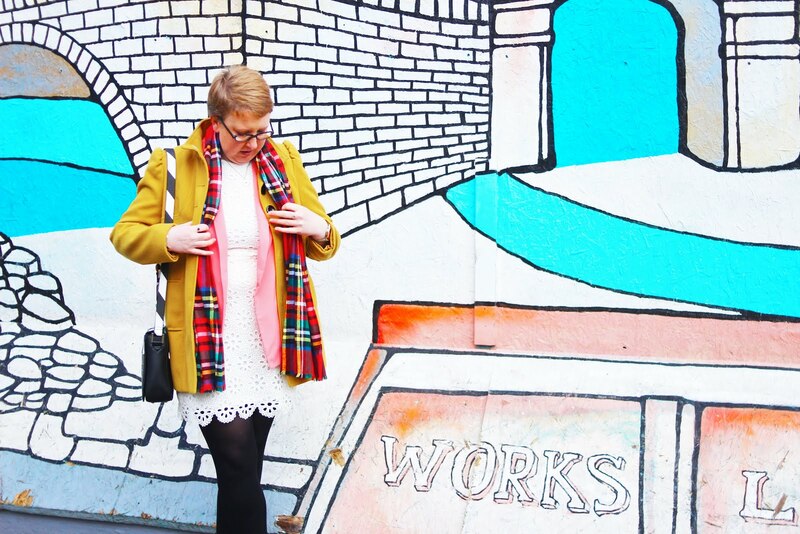 *denotes a PR sample. All skincare based opinions are my own.